After a couple of redesigns over the years we hopefully don’t look it, but next year Objective will be turning 30! We were naturally reflecting on our time and it turned out a lot of stories involved the same customers and staff. It reminded us that here at Objective we have successful relationships with both our customers and staff. So we thought we would let you in on our secrets. When it comes to bespoke software, understanding your requirement is not enough for us. We consider how your new solution will add value to your business and how it will be used. It is often after we have discussed why the software is being built that we realise a certain area is not needed or something essential has not yet been considered. Not only does this save time and money later on, it also helps us understand your priorities. At Objective we send time reports to our customers. We do this so they can see how much time has been spent on each task given to us. Not only does this build trust, it also works to educate our customers on how long seemingly simple tasks can take or how time can be saved due to earlier work building the way. This allows our customers to highlight their concerns early on, helping us to do something about it before it becomes a problem. Although some of our directors, customers or staff wouldn’t want us to tell you, they have been working together for longer than some of our younger employees have been alive! So when we say we develop long term relationships, we really do mean long term. Many of our long term customers put it down to how friendly and approachable we are… one of the requirements for working at Objective is smiling and having a positive outlook. 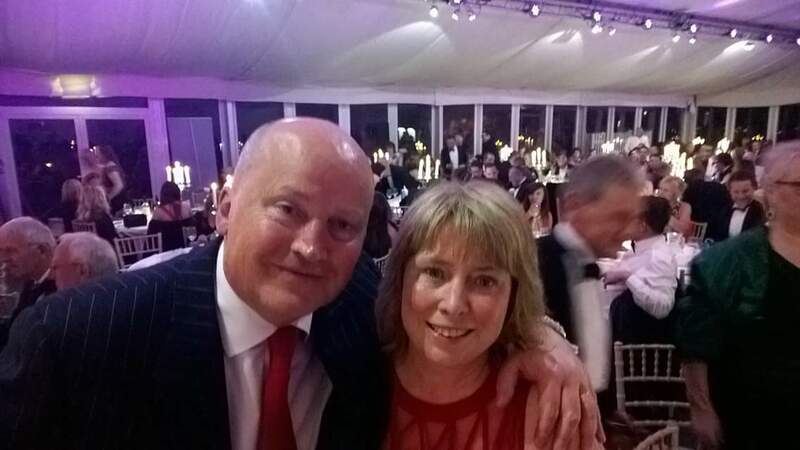 Cath Fox, our MD, with Michael Yexley, director of UK Media, pictured at the North Essex Business Awards 2016. Michael is a long-term client – approaching 25 years! Most of the time when working with us you will speak to an account manager and a project manager, but this doesn’t mean we keep our developers locked in a cupboard. If it will be beneficial for you to sit with a developer and explain that complicated process we keep coming back to, we will set it up. And because our staff turnover is low our customers and developers work together year on year. You may think we are joking, but we are fairly sure our office would grind to a halt if the tea and coffee ran out. It’s the first thing our customers are offered as they enter the door and it is important that our developers are well fuelled throughout the day. We also have to give credit to the café around the corner too. Sometimes we aren’t sure whether it’s our expertise or the tasty sandwiches that keep our customers coming back!